It is an old custom to teach a method to only my descendants, for keeping a wealth within a family. Especially, the modern societies we live in wish to share happiness of coexistence and co-prosperity. So I don’t allow my family to keep the method to ourselves. My Usui Reiki Ryoho is an original, there is nothing like this in the world. So I would like to release this method to the public for everyone’s benefit and hope for everyone’s happiness. My Reiki Ryoho is an original method based on intuitive power in the universe. By this power, the body gets healthy and enhances happiness of life and peaceful mind. Nowadays people need improvement and reconstruction inside and outside of life, so the reason for releasing my method to the public is to help people with illness of body and mind. Reiki is in the simple. 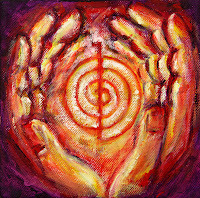 Reiki is not so much something we do, it is something we are. In the moment, as the expression of what it, as love, compassion and kindness we reach out, we touch, we heal. 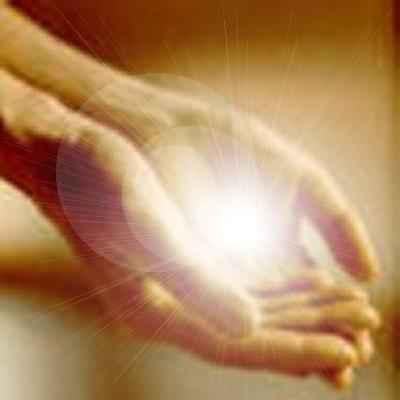 In the moment when you stretch out your hand to heal where there is no self, no other, you *are* Reiki. Enlightenment is where you are, where else could it be? Usui's Reiki is one of many, many ways of seeing the truth, and that is healing. This is Reiki. 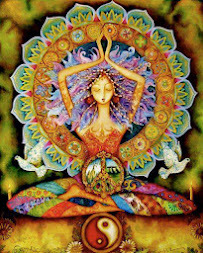 Reiki can heal, can relieve pain, but don't expect Reiki to do the work of removing the conditionings that veil awakening. Attunements do not equal enlightenment. Removing your suffering is up to you. And so in closing, I leave you with this. Simply place your hands together in Gassho, and say these words. For today only, anger not, worry not. Be grateful and humble. Be kind to all. Be mindful and live these. Place your hands on self or other and let go. Let go of outcome, of worry, of conditionings, of need, and simply be. The rest takes care of itself. Here we have a treat! The following questions were taken from a lecture given by Hawayo Takata in 1975 which was held at the Trinity Metaphysical Center in Redwood City, CA. Reverend Beth Gray, pastor of the center, presented questions from an audience compiled entirely of Takata’s Reiki students. The lecture was recorded by John Harvey Gray with Takata’s permission. Each one has been presented verbatim. Correct punctuation is attempted. Takata often taught by telling stories. In her manner of teaching, which at first glance may appear simple, Takata presented fundamental teachings about Reiki that are truly profound and timeless. For those of you not yet familiar with Hawayo Takata, she was the Japanese-Hawaiian woman responsible for bringing Reiki to the West. 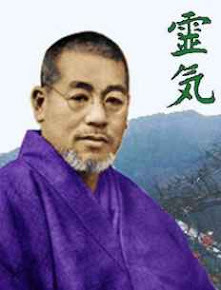 Takata received her entire Reiki training from Chujiro Hayashi, who in turn, received his training from Mikao Usui, the originator of the Reiki system of natural healing. Why is self-treatment sometimes unsuccessful? Must one wash hands after Reiki? What about reactions to Reiki treatments? But when you feel that you have become worse, that means the whole body has taken effect. The pure, the (inaudible word), the Reiki is beginning to cleanse you. And so, the internal organs, the twenty-eight feet of intestines, will be cleansed, and you will start to have diarrhea, and fever. Now, especially in the chronic arthritis cases, when you have lots of calcium in your body, if your body does not burn, or raise fever, you cannot get the calcium to dissolve. And so by treating it, and when your body temperature rises, you may have fever for four or five days. But all during the time, the calcium begins to dissolve. And it may come out through your urine, through your bowl. Sometimes it forms a great big sore anywhere. It could be on the knees, it could be on the elbow, a great big ripe tomato-like, and that’s filled with dissolved calcium. And while treating, this became very, very raw, and then it burst. And, you know, the force of this ripe tomato was so hard that it splashed, not only the walls, but to the ceiling. He grabbed the sheet, put it on, and then I squeezed it, and then it drained for five to seven days. And before, the hole was that big, but before it completely healed, I told him, ‘Now that your swelling from your feet and your thighs and legs and all your arms have gone, and you can walk now without pain, please go to your doctor, and check with him and tell him about this.’ So, he did. And the doctor was very, very happy. And of course, while the doctor was examining and looking at the hole, he squeezed it. And when he squeezed it, something like cottage cheese jumped out. And that was all the calcium that had gathered from the body. Now, this man had 13 years of arthritis, and he was not an old man. He was only about 45 years old. But he was unable to work. He was bedridden ... bedridden. And pain, pain, pain. So, when you entered his home, on the door it says, ‘Please, do not slam the doors. The screen door has rattles, so please do not slam. Please, do not turn on the TV.’ Everything that (has) vibrations (she claps), even that hurt him more. And the first thing I told him, I said, ‘Every Sunday, you used to argue with your wife. Your wife said, ‘Let’s go to church.’ And he said, ‘Oh, I have to go fishing.’ And he would say, ‘Today, I have to clean my yard.’ And then he always had some kind of alibi, but never went to church. And so, I say to him, ‘Now that you have gone to the doctor, and find yourself okay, the first thing you are going to do is to go to the house of God, and thank God. Take your wife down.’ It was only two blocks … that was the Episcopalian church. And so I said, ‘Wear your shoes and your Sunday clothes, take your wife’s arm, and walk to the church, now that you can walk. And, you walk right to the altar, and then, bow your head, and then thank God for having mercy, and grace, and for the, healing.’ I said, ‘It was through God power, that you were healed, and, it was not (inaudible word), I only gave you the time.’ And then, the wife followed the diet. And so, in 30 days, 13 years of arthritis was absolutely gone. And so, that is another happy, happy story. But it ended it. Hawayo Takata: “Oh, okay. Not successful on themselves? In that case, I say, I say it again, that there, that may be their reactions, especially in rheumatism. If it’s the cause … that they have had the cause for about twenty-five, thirty years. You don’t expect that to get over, overnight. So you have to keep on trying. ... I am so sorry to do this to you, but this post has been moved to my new website, Two Feathers Reiki, hosted at shirleytwofeathers.com, and can be found in its entirety here: Is The Ability To Channel Reiki Ever Lost? Have you ever noticed that some people seem to be born under a lucky star, enabling them to easily obtain everything they desire? Have you ever noticed the opposite … people who never get what they want, no matter how hard they try? If your answer is “yes” to both of these questions, then I ask you, do you know what makes the difference between the two kinds of people? Do you believe some people are just naturally lucky? The answer to these questions is simpler than you think. There is a power so simple to access and operate, and so automatic, that it is active at all times … just outside of your conscious awareness. This is the power of manifestation, which is created by your mind. This power can be greatly enhanced thru Reiki. Your mind's power of manifestation is in constant communication with the Universe. It is telling the Universe what to manifest in your life at all times. Most people are not aware of this power of manifestation generated by their mind. They do not pay attention to the quality of their thoughts or to their inner dialogue. Prophets and other spiritually advanced souls have been telling people of this power for ages. In recent years, the book and the movie based on the book titled The Secret have brought lots of media attention to this amazing power. Yet, in spite of all these reminders, both from past and recent years, most people fail to recognize the power of manifestation generated by their mind as being the cause of their failure or success. Consider the following situations: the case of Jane, the school teacher, who while passing by a store window, sees a beautiful dress, and says to herself, “Gee, I wish that were mine;” the case of Carl, the newspaper delivery boy, who says, “Boy! I’d love to have a bike like that!” as he watches a neighborhood boy riding his new bike; the story of Mary, the salesperson, who worries about not having enough money to pay next month’s mortgage as she balances her checkbook; and the story of Bob, the executive, who has been unemployed for more than two years, and constantly dwells on his inability to find work in his field. These four people have not yet learned how to harness the power of manifestation generated by their individual minds. They either express occasional half-hearted wishing, which does not generate sufficient energy for manifestation, or focus on the problem instead of the goal, which is even worse. If you are one of the millions of people with similar problems, you can change your life starting today, but you must first learn how to clarify your goals. Once you do this, and you learn to discipline your mind appropriately, then Reiki can help bring your goals into physical reality. This all happens via the path of manifestation. This is how the path of manifestation works. The path begins the very moment you conceive an idea. At that moment, the idea exists in the Causal Plane. The Causal Plane is the plane of existence where the newly conceived idea acts as a spark to ignite the path of manifestation. As you first start thinking about the idea, it begins to manifest in the Mental Plane. The idea is now becoming a thought form. Now you must give the idea structure by developing it in greater detail. Always do this in writing. Create plans and drawings … the more detailed the better. The final written product is called the “convincer.” It must be written as if the goal has just been achieved. This is very important. After your idea forms in the Mental Plane, it needs to receive energy … lots of good positive energy. Reiki and powerful positive emotions are best for this. Remember, emotions serve as catalysts for manifestation. As your idea receives Reiki and lots of positive emotions, it will begin to manifest as an astral form in the Astral Plane. This Plane of existence is also known as the Emotional Plane. Once your idea has received sufficient positive energy in the Astral Plane, then it will manifest in the Physical Plane. This is the path of manifestation, not just for goals, but for everything, including health and disease. Everything starts in the energy field before it manifests in the physical body. Therefore, before any goal can manifest in the Physical Plane, it must first manifest as an idea in the Causal Plane, then as a thought form in the Mental Plane, and then as an astral or emotional form in the Astral Plane. For the latter, both positive emotional energy generated by your mind and lots of Reiki act as the catalysts for manifestation in the Physical Plane. Here is an example of how the path of manifestation works. Say that Johnny decides to get a new car. The very moment Johnny thinks of getting the car, the car starts to exist in the Causal Plane. Now, as Johnny writes out all the details about this car, i.e., make, year, model, color, accessories … and most importantly, includes the convincer … the car then begins to manifest as a thought form in the Mental Plane. Again, Johnny needs to write out the convincer as if his goal of getting a new car already had been achieved. The convincer is the event that would need to take place in order to let Johnny know, without a shadow of a doubt, that he had already received the car. In Johnny’s case, the convincer could be an event where he would see himself receiving the car keys, or he would see himself driving the car, or would see the car parked in his garage. Never worry about how your goal is going to manifest. You do not ever want to try to figure out the chain of events that would lead to the realization of your goal. Leave this up to the Universe. Otherwise, you would limit many of the ways by which the Universe could bring our goal into manifestation. The Universe is endlessly abundant and endlessly creative. Leave the “how” up to the Universe. Your job is to clarify your goal in as much detail as possible and then give it positive energy, including Reiki energy. As you clarify your goal, pay attention as to whether you are focusing on the problem (from which you are trying to move away) or on the goal itself. Be careful what you ask for. Never ask for a goal that would bring harm to anyone in any way or that would violate one’s rights. For example, if Johnny were to focus on wanting the car because of a problem that he were trying to eliminate, say the problem was lack of transportation, and if Johnny were to place emotional emphasis on “lack of transportation” instead of on receiving the car, then “lack of transportation” would be the message the Universe would receive from Johnny. The Universe does not judge whether or not the message received is in Johnny’s best interest. The Universe only acts as a mirror to reflect back what it receives — in this case it would reflect “lack of transportation” back to Johnny. At best, the energy created by this situation would hinder Johnny’s effort to reach his goal. Think of this situation as an energetic mismatch between Johnny’s emotional energy and the energy that must be generated in order to propel the goal down the path of manifestation. Once your emotional energy is in alignment with the energy of the goal, all you have to do is maintain a relaxed focus on your goal. This is accomplished by trusting that the Universe and your Higher Self will always bring you that which is for your highest and most loving good if you allow your ego to get out of the way. Remember to continue giving Reiki to your goal on a consistent basis. For Reiki I practitioners, give 10 to 15 minutes of Reiki daily to the convincer written down on paper, (place your hands directly on the paper)as you visualize, with great emotional power, the convincer event having taken place. For those who are Reiki II or more advanced practitioners, many other Reiki options are available. You can call the goal’s thought form via the absent treatment symbol and then energize it using some of the mental/emotional techniques available via the communication channel. In this manner you will be able to accelerate its manifestation in the Physical Plane. We teach all of these techniques and many others in our classes. After you finish giving Reiki to your goal, let it go. Release it. Send it back to the Universe. For the rest of the day, don’t think about the goal. Most people find this step to be very difficult … yet it is absolutely necessary. If you do not release your goal, then the Universe will not be able to work with it. Letting go of our attachments … including our attachments to our goals … is one of the important lessons you must learn in order to advance as Reiki healers. Most importantly, always remember to give thanks. Once your goal has manifested, always give thanks to the Universe, your Higher Self, Christ Consciousness, God/Goddess, your spirit guides and to any other manifestation of Divinity you believe in. Takata always said that having gratitude is essential in order for Reiki to work. What happens at a Reiki treatment? During a Reiki treatment, you remain fully clothed and lie down on a massage table, or you can also be seated, if you prefer. The Reiki Practitioner will then place his / her hands on or over your body in seven classic positions or variations thereof. What might you experience during a Reiki treatment? The experiences vary between individuals and also from session to session. Sometimes the benefit of a Reiki treatment is obvious and other times it needs time and patience for the benefits to come through. 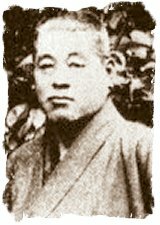 Mikao Usui, born in 1865, discovered Reiki during a retreat on Mt Kurama in 1914. It's believed he developed this system of healing based on a formula he found in ancient Sanskrit Buddhist sutras. Following the formula he went into the mountains and fasted and meditated for 21 days. On the last day he had a vision, which completed his system. 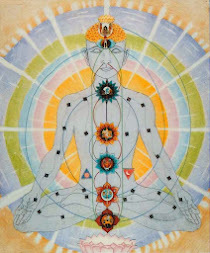 Some say that during his vision he received the Reiki symbols that are part of the system. Others say he got the symbols before hand from the Temple where he studied. In either case, the system he developed became an effective tool for healing. 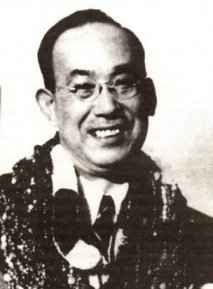 Usui Sensei spent the rest of his life sharing his Reiki system and trained many others how to teach it. 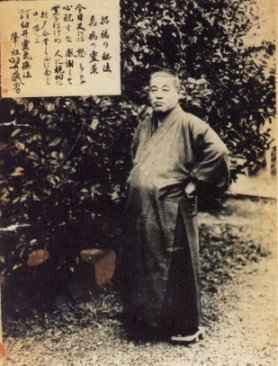 Before his death in 1926 he had set up a group called the Usui Shiki Ryoho in Tokyo to continue on with the practice after his death. Through this group many teachers have been trained in Japan. 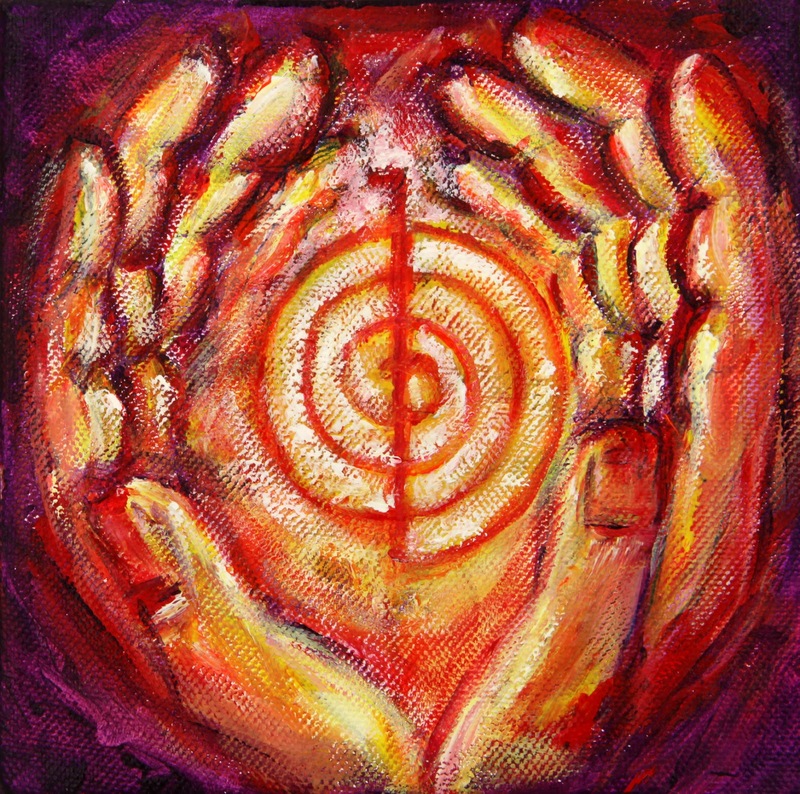 Reiki (ray-key) is a natural healing technique that makes use of the laying-on of hands. Thought to have originated in Tibet thousands of years ago, Reiki was re-discovered by Dr. Mikao Usui, a Japanese Buddhist in the 1800's. It was his purpose to find how Buddha healed the sick. I have become more sensitive to the energy of situations, both positive and negative, and have found the courage to appreciate them all. Reiki has also helped me in my meditating, making it easier for me to probe into my inner depths. My overall health has become more balanced and life is more fun than ever before. My compassion has grown, and I often find myself cool and collected in situations that used to set me on fire in the past. Reiki helps us see others more lovingly, it puts us into a gentle equilibrium of body, mind and soul. Soak in a hot tub with 2 cups of Epsom Salts dissolved in the water. This facilitates the release of toxins, and will absolutely help you to feel better. Living "just for today", you focus on the "NOW". Anger and fear are replaced by love as your vibratory rate and consciousness are raised. But the shift is not always without pain or letting go of old patterns; in Reiki we call this releasing of old patterns, the 21 Day Clearing Process. You will be lifted even higher when the transformation is complete. You may not recognize the new "You" at first, but trust me, you will never want to go back to that Old Self again. During a meditation several years after developing Reiki, Dr. Usui decided to add the Reiki Ideals to the practice of Reiki. The Ideals came in part from the five prinicples of the Meiji emperor of Japan whom Dr. Usui admired. The Ideals were developed to add spiritual balance to Usui Reiki. Their purpose is to help people realize that healing the spirit by consciously deciding to improve oneself is a necessary part of the Reiki healing experience. join your hands in prayer. The form of Ki that organizes the correct synergetic application of all the subordinate forms of the life force in the holistic sense is called Reiki. This word can be translated as “soul force” or ”spiritual power.” It is this quality of the life energy that, in the material world, is closest to the divine creative force, the source of al life. 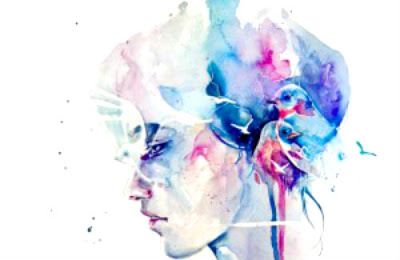 It attunes the three archetypal partial personalities of the inner child, middle self, and higher self with each other so that all three remain connected with each other in one system instead of striving apart because of their differing characteristics. Reiki stimulates without over exciting. Reiki separates without creating isolation. Reiki calms without causing rigidity. Reiki directs our attention to life and love in the heart. 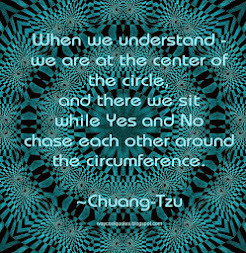 Reiki creates clarity without a lack of involvement. 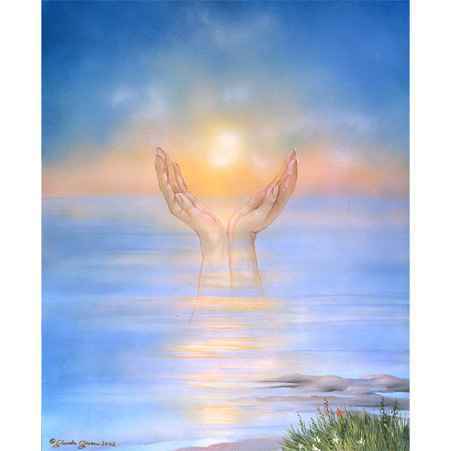 Reiki wakes us up and supports the devel-opment of all types of latent potentials. When given an adequate opportunity to do so, Reiki will first make sure that cleansing and clarification take place and prepare the body/mind/spirit for any additional healing/transformation to take place. In order to cooperate in this process, we must decide to live in a different manner: healthier, more spiritual, and more individual. Reiki can’t—won’t—take over this act of Will Power. The will is a gift of the Divine Force. Mastering it is a holy duty– as is learning to use it in a way that is meaningful in terms of the whole of creation. Forms of life energy that are higher and more uniform than Reiki cannot manifest themselves directly in the material world of separation.